Despite the huge number of companies that provide access to trading assets in the global financial market, most traders prefer to work on well-known sites with high capitalization. And this choice is quite natural. These brokers can afford expensive advertising, they use the services of the best financiers, analysts and programmers. Also, do not forget that the activities of these companies are regulated by world-famous organizations. Each trader who has registered an account on these platforms, can have no doubt of their reliability and decency. But what about the owners of companies such as RingoTrade? About the broker, popular in Kyrgyzstan, many traders know practically nothing. There is an opinion that if a company cannot or does not want to occupy its niche in the global financial market, it means that it is not yet ready to reach this level. Such an explanation quite suits popular brokers (the fewer competitors, the easier it is to attract new users). But ordinary traders do not have to agree with the above statement. Among novice brokers who do not have the capital to create and distribute advertising, you can find companies with very attractive terms of cooperation. And these will not be scammers, as many traders believe, but real participants in the global financial market who always fulfill their obligations. Consider this question in more detail. 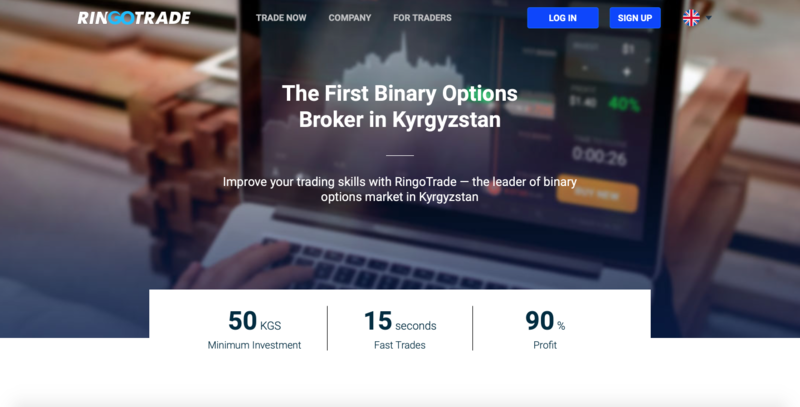 The official website of RingoTrade claims that this service is the first binary options broker in Kyrgyzstan. Even with a superficial study of the site, we can conclude about the professionalism of its creators. Nothing more, each section of the service is designed to perform certain functions. Convenient interface allows you to quickly navigate and explore the structure of the resource, without assistance. 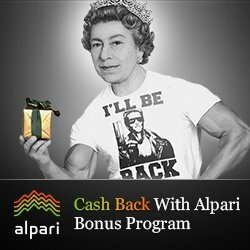 ● Keeping users’ funds in separate accounts. ● The use of automatic SSL transaction encryption system. ● Used for work RingoTrade application and other software services, which is constantly being tested and updated. ● In case of force majeure situations, the user of the trading platform may contact support representatives. They work around the clock, seven days a week. In order to contact the experts are provided: e-mail, online chat or phone. One of the main drawbacks of this service is the lack of licenses for the right to engage in financial activities issued by reputable organizations. Elimination of this negative factor will make it possible to significantly raise the company’s rating and reach a higher level of work in the global financial market. Many experienced traders are advised to register a login on RingoTrade, without fear of any trouble from the broker, despite the absence of these documents. The organizers of the presented project simply could not ignore the oriental temperament of their clients. In the capital of Kyrgyzstan, there are nearly a dozen brokerage clubs that ideally combine the ability to carry out financial operations with the traditions of this state. In such brokerage rooms, a novice trader can see how deals are made, what you need to know in order to correctly predict changes in the value of available assets, etc. As for theoretical training, this issue is also given a lot of attention. Novice traders can complete a full course of study and then test their strength in practice using a demo account posted on RingoTrade. General requirements for users who choose to work on this trading platform are not much different from the conditions of other brokers. The trader must register, deposit the required amount, choose the direction that is most interesting for him, and get to work. ● The minimum amount for withdrawal is 1 som ($ 0.014). ● Account currency – Kyrgyz som. ● Types of options – higher / lower, touch, designer, combo options, classic options, turbo options or stepped. ● Potential trader’s profit is up to 92% for each successful transaction. ● Trade using mobile devices – provided. ● It is possible to work with popular cryptocurrencies. ● Plastic cards of financial institutions. When compiling RingoTrade reviews, many users of the resource pay little attention to the assets and tools that they used to conduct financial transactions. The administration of the trading platform assures that on the site, besides transactions with traditional currency pairs, you will have the opportunity to work with cryptocurrencies, stock indexes and material resources. The main thing is to know all the factors affecting the value of assets and never turn this business into a regular casino.